An image of Atiyah Abd al Rahman, from his latest propaganda tape. Photo from the SITE Intelligence Group. Al Qaeda has released a propaganda tape of senior leader Atiyah Abd al Rahman, who senior US intelligence officials claimed was killed in a Predator airstrike on Aug. 22 in Pakistan’s Taliban-controlled tribal agency of North Waziristan. Al Qaeda does not address reports of Atiyah’s death. Atiyah’s speech, which is titled, “Tidings of Victory in the Month of Patience,” was released by As Sahab, al Qaeda’s media organization, and distributed to jihadist web forums by the Al Fajr Media Center on Aug. 30. A still image of Atiyah accompanies the audiotape. A translation of his statement was provided by the SITE Intelligence Group, which notes that the video was produced before his death and that it may be an indication that Atiyah is alive. Flashpoint Partners, a consulting group that monitors jihadist forms, said that the usage of the honorific “‘May Allah Protect Him’–not ‘May Allah Have Mercy On Him'” is “a strong indication that al Qaeda’s central media wing believes that Atiyah … is still alive.” Al Qaeda uses the honorific “May Allah Have Mercy On Him” for fighters and leaders who have been killed in battle. Al Qaeda does not have a history of releasing statements of leaders before announcing their deaths, nor has the terror group used its official propaganda channels to deceive Western intelligence services to fake or conceal the deaths of its leaders. 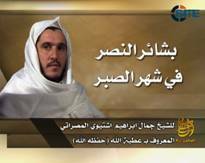 Al Qaeda typically releases martyrdom statements for its top leaders after they have been killed. Nine days have now passed since Atiyah was reportedly killed, and no such statement has been released to commemorate Atiyah. US officials have said they have confirmed Atiyah’s death, but they have not released evidence to prove he was killed in the Aug. 22 strike in Norak in the Mir Ali area of North Waziristan. Mir Ali is a known haven for a multitude of jihaidst groups, including al Qaeda. A senior local al Qaeda leader known as Abu Kasha al Iraqi operates in Mir Ali, and is closely tied to the Islamic Movement of Uzbekistan, the Taliban, and a host of other allied terror groups. Aytiah is reported to have been spotted recently in Mir Ali together with Taliban and Uzbek supporters, according to The Washington Post. He may have been making “a goodwill tour of North Waziristan,” The News speculated. US intelligence officials contacted by The Long War Journal would neither confirm nor deny reports that Atiyah was killed in the strike. Atiyah has been described as al Qaeda’s “operations chief” and second in command in most press reports, and his role in plotting terrorist attacks has been repeatedly noted. But according to one senior US intelligence official contacted by The Long War Journal, Atiyah was al Qaeda’s “general manager” and also served as Osama bin Laden’s “chief of staff” [see LWJ report, Senior al Qaeda leader reportedly killed, for more information on Atiyah and his role in al Qaeda’s top leadership echelon]. can anyone tell me how they do to recruit new jihadists after all those set backs they have encountered during the last two years? AAZ can sit in his basement in karachi or where he is and talk about jihad but without anyone out there what would be left of their holy war?